When considering custom gunmaking, many aficionados first look to the UK or Europe for inspiration and quality work. But they should not ignore the American Custom Gunmakers Guild (ACGG), an organization whose members have been raising the gunmaking bar for 35 years. 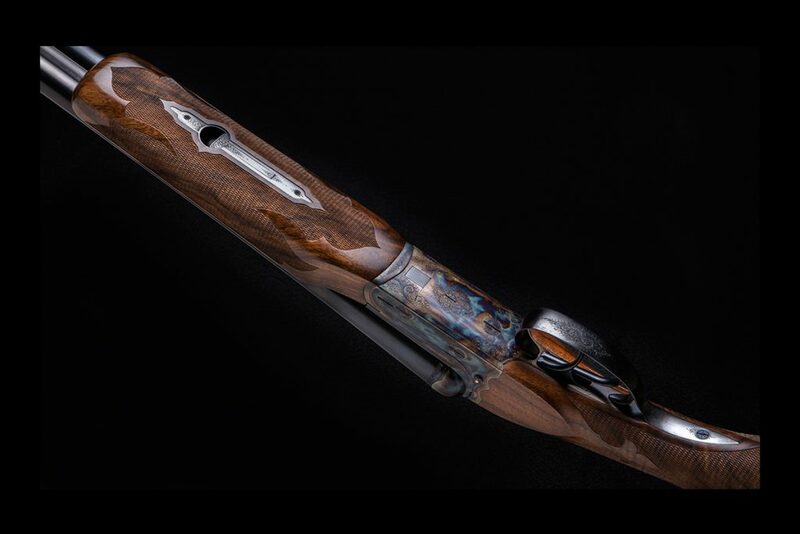 In 2016 and ’17 a group of ACGG craftsmen took a “sow’s ear”-quality 1950s-vintage shotgun and turned it into a proverbial “silk purse.” This latest example in a long line of ACGG fundraising collaborations sold at the Guild’s exhibition at this year’s Dallas Safari Club Convention. The donor gun started life as a Simson 12-gauge side-by-side made in Suhl, Germany. 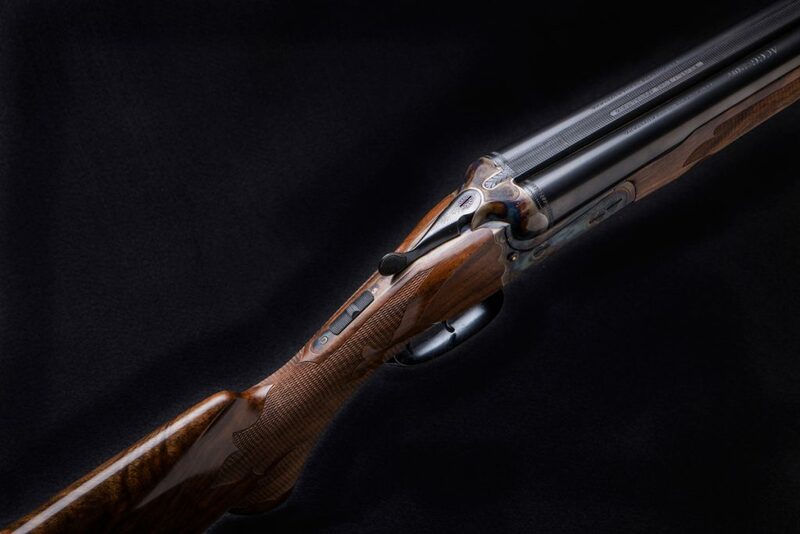 It was donated by member Mark Beasland of Mark’s Born Again Birdguns. The gun went to Ed LaPour for metalsmithing duties. 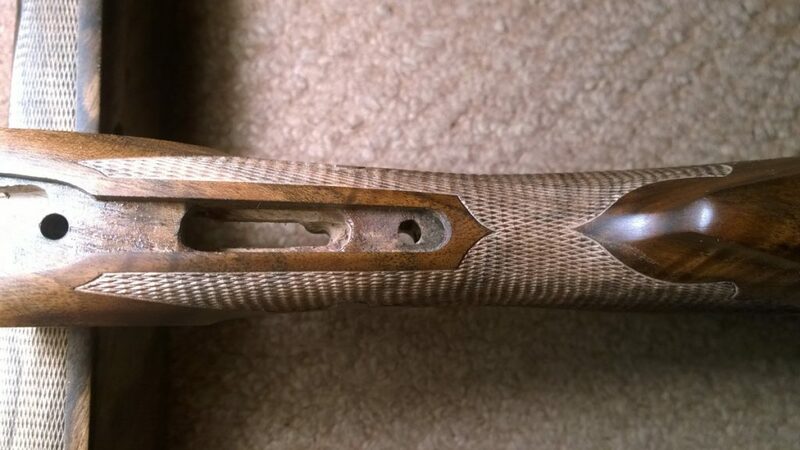 In Ed’s words: “The buttstock was broken off at the wrist. The screws were rusted tight, leaving no access to internal parts. 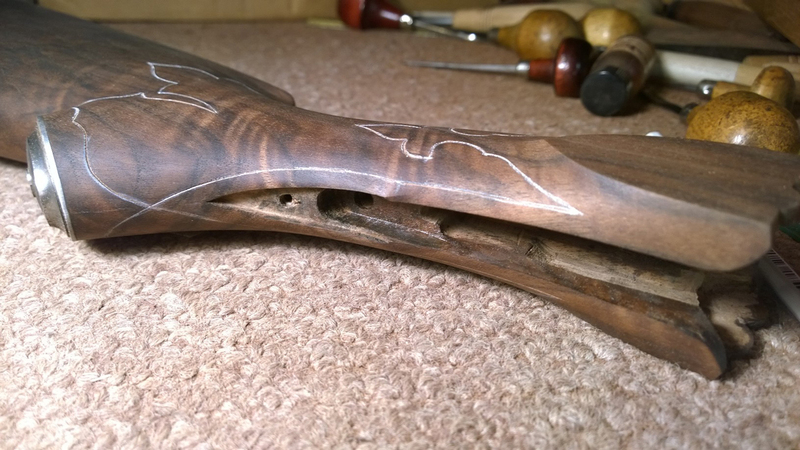 After carving away all of the remaining buttstock, the complete action was soaked in solvent to remove any remaining oil. Then into a bucket of Kroil for two weeks. 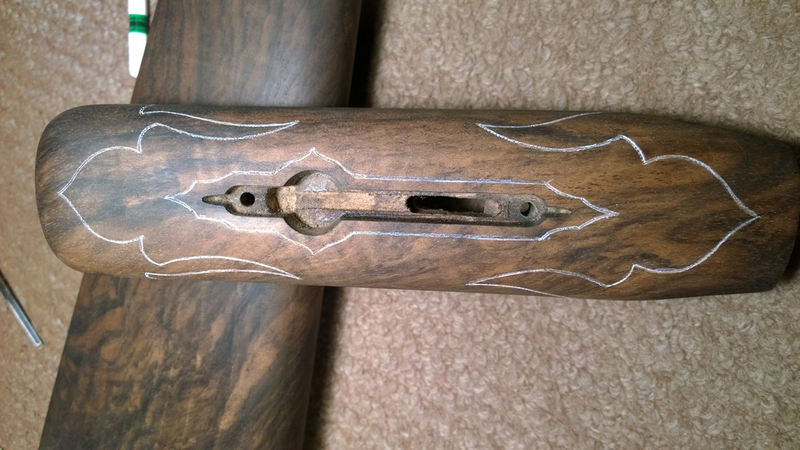 After a solvent wash, I was able to remove the triggerplate, and documenting photos were taken of its rusty condition.” Some screws still could not be moved, so Ed drilled them out and made new screws from bar stock. He also fabricated and fit a new Greener crossbolt. The metalwork was annealed in preparation for the next craftsman’s job. This project was conceived and completed in less than two years. Bruce Farman removed all of the original engraving. He either filed it off or laser welded up the lines so as to not weaken the metal by over-filing. 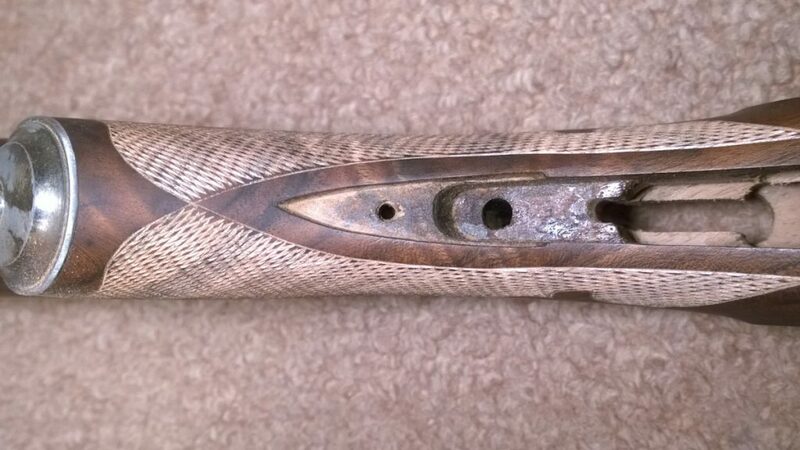 This process was done to the forend metal also. The “truing up” of an action involves making sure the outside of the metal is straight, level on both sides to the centerline of the action, fitted tight at the knuckle and hinge pin, and above all symmetrical in every way. Bruce cross-polished the metal to remove all file and grit marks, taking the finish down to 600 grit. He also draw-filed the barrels to remove any waves and minor imperfections. The barrels were cross-polished to a 600-grit finish as well. The stick of Juglans regia was selected by Robert Watts of Watts Walnut. This project was conceived thinking of a live-bird/sporting-clays gun—a heavy field gun and perfect for the robust Teutonic donor platform. Thus, a Turkish walnut blank fit the bill well. 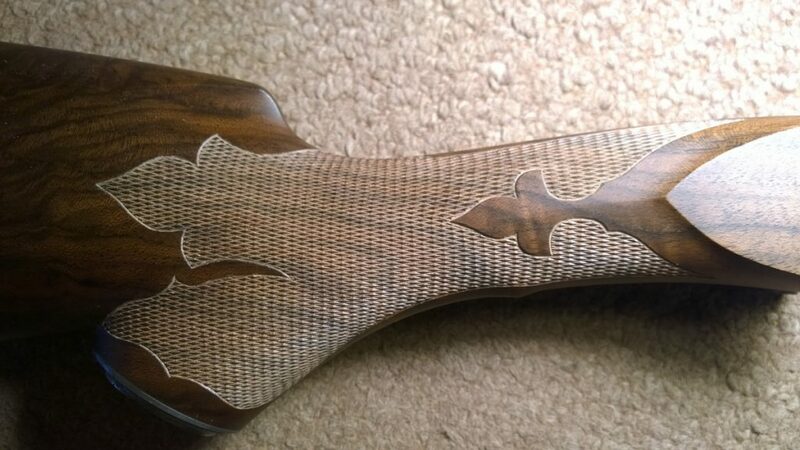 Because Ed LaPour had carved away parts of the wood to get to the action, Craig rebuilt the head of the stock and glassed in the pattern head for accurate duplication. The finishing of the stock was unique. It combined the talents of Craig and the checkering master for the project, Brian Board. 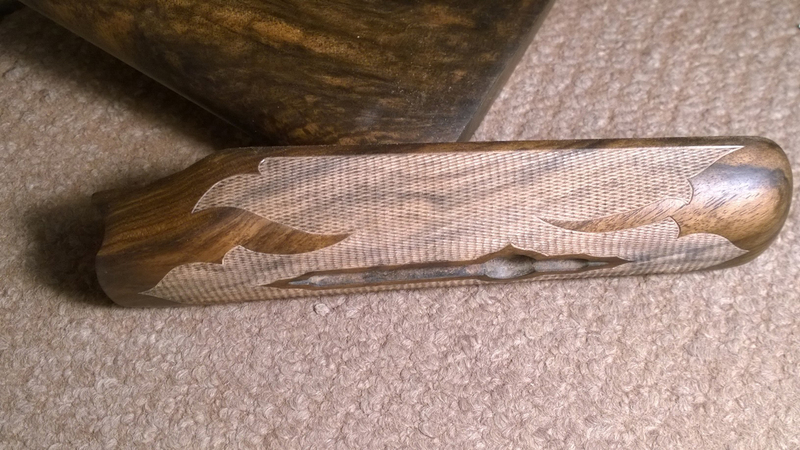 Brian filled the stock pores using his TimberLuxe finish before checkering. Craig did the top coating (without stain) with Pro-Custom Oil. 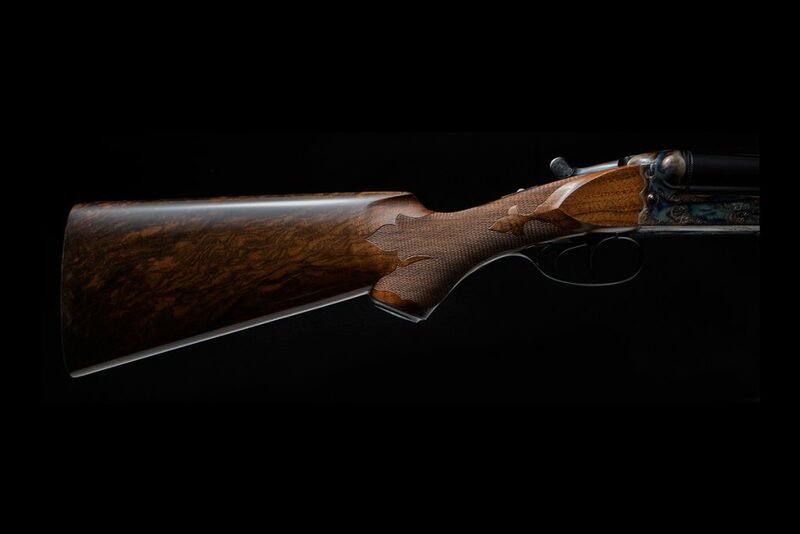 Knowing the gun would be viewed by the some of the world’s best gunmakers, Board chose to create a unique pattern. 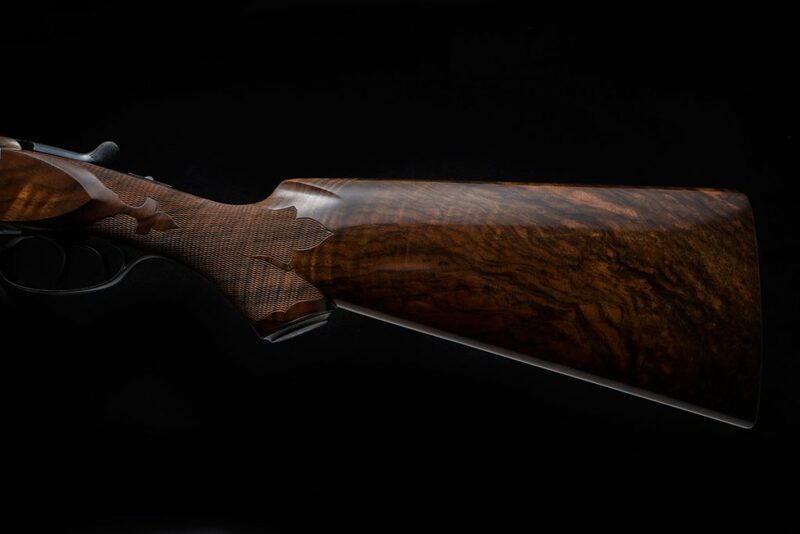 “When I received the stock set from Craig, I marveled at the crispness of his workmanship. 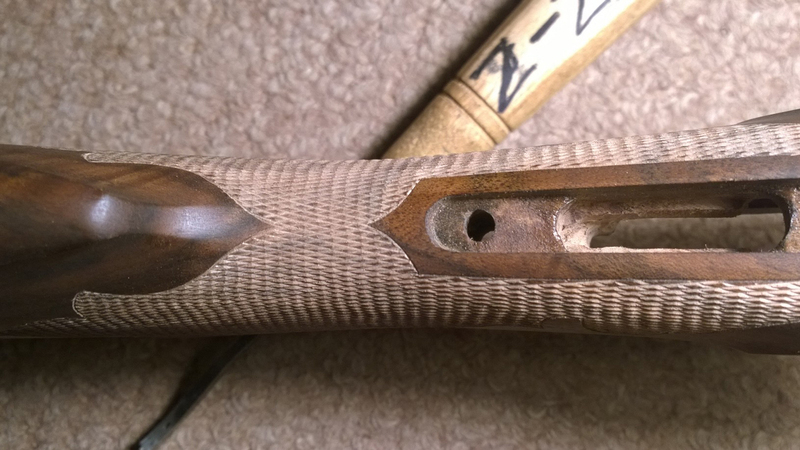 The short length of the forend stumped me for a bit, as I’m used to having longer forends to checker. 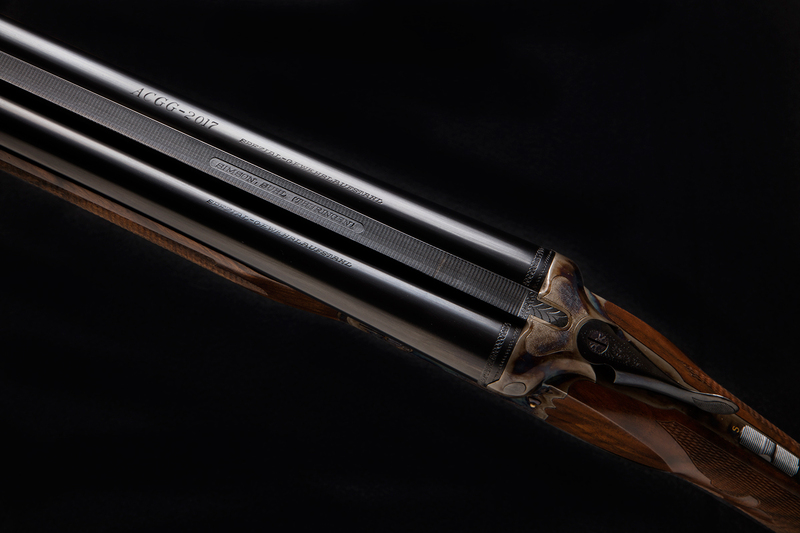 I remembered a Parker A-1 Special with a factory forend I restocked. 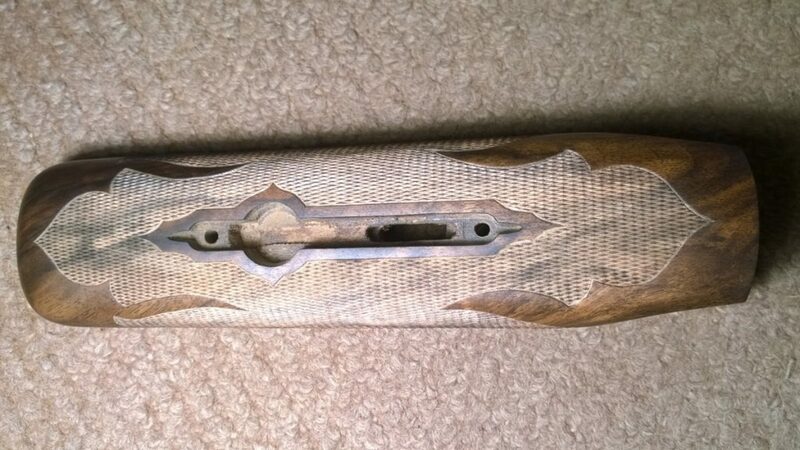 I used this general concept as inspiration and modified it to fit the forend length. 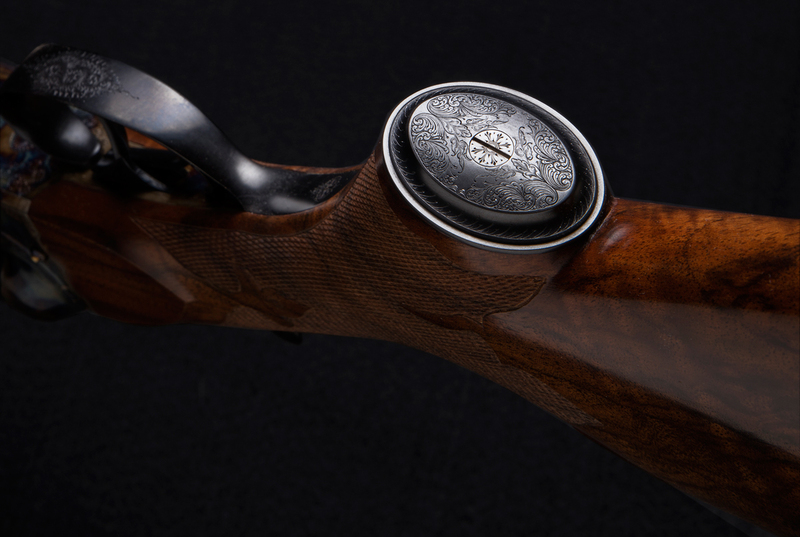 Engraver Jim Blair decided on tasteful scroll with enough coverage without being overly busy, and he executed it on the action sides, triggerplate, trigger guard, grip cap, fences and barrel-breech joints. “ACGG 2017” was placed prominently on the right barrel. 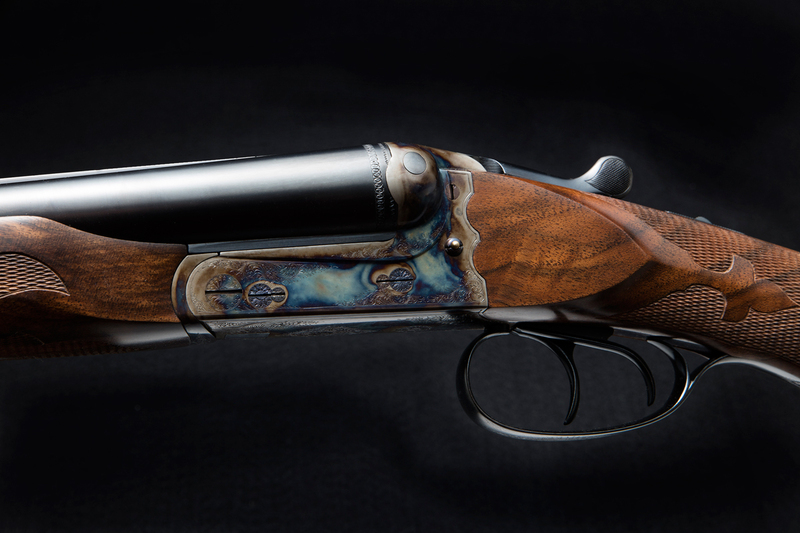 Doug Turnbull of Turnbull Restoration case-colored the action and forend iron. The rest of the metalwork was sent to Roger Ferrell for finishing, assembly and function testing. Roger blacked the barrels using traditional rust-bluing techniques, nitre blued the screws and assembled the components into the completed shotgun. 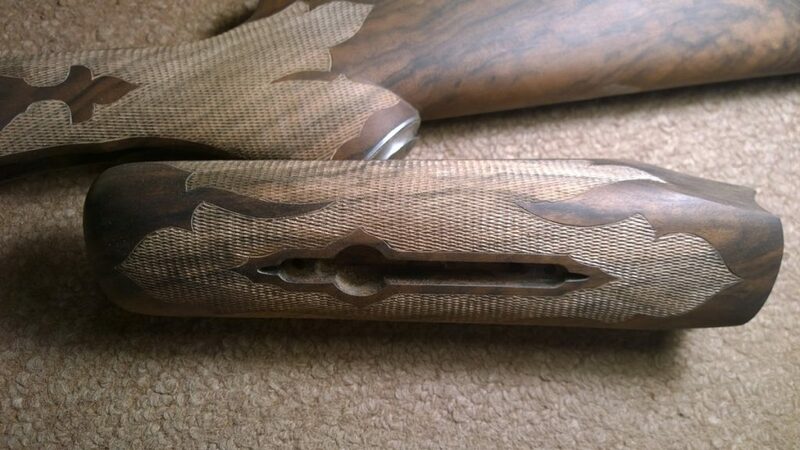 While assembling the gun, Roger noted some barrel imperfections, and after consulting with other members of the project team, it was decided to have Dennis Potter look at them. Dennis measured the barrels and discovered that they had a lot more metal in them than originally thought. The barrels are 28-3/8″ long and had an average wall thickness of .038″. Dennis removed the imperfections and, in the process, removed only .003″ of metal, leaving an average wall thickness of .035″. This project was conceived and completed in less than two years and, as mentioned, sold this past January. 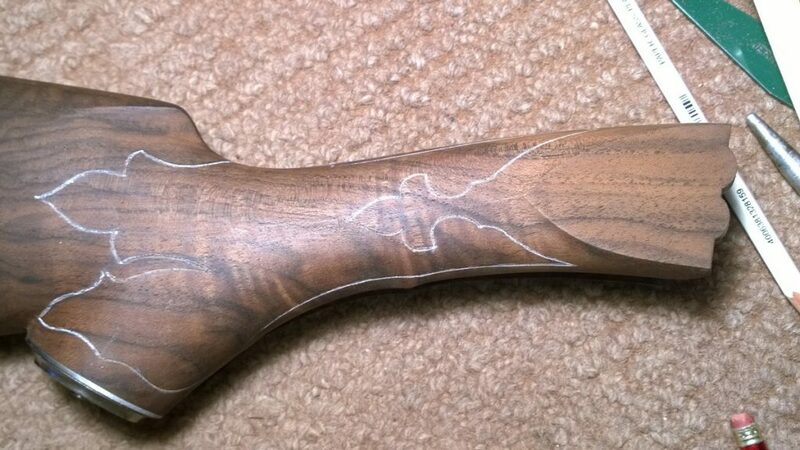 The gun will be altered to the new owner’s dimensions, and I will install a recoil pad on it for clay shooting. The Simson weighs 7 pounds 1 ounce and balances 1/8″ ahead of the hinge pin. 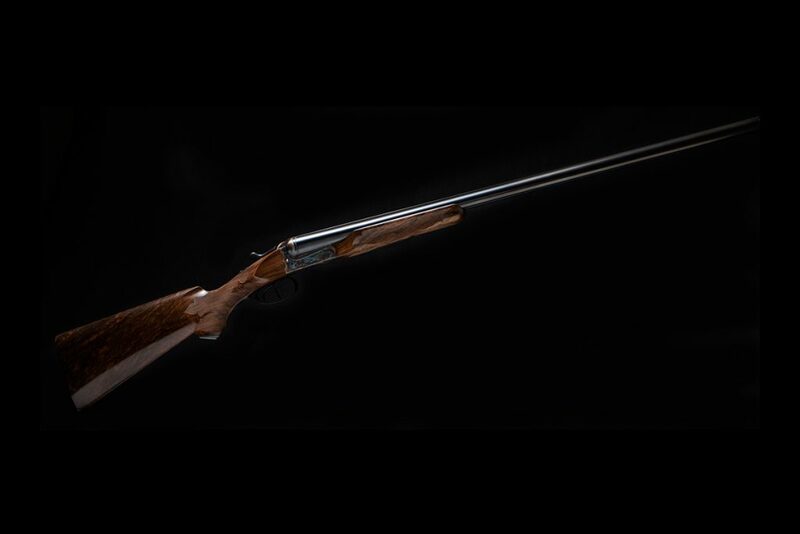 It has choke constrictions of .039″ right and .049″ left and patterns Full & Fuller at 40 yards. Let’s just say that it swings like an angel and hits with authority! For more information on the ACGG, visit acgg.org. Stockmaker Dennis Earl Smith was the ACGG projects director on this gun. Steve Nelson, an ACGG member and former editor of the journal The Gunmaker, helped considerably with the article. Subscribe to Shooting Sportsman at this special rate. Just $12.95 for one year! The wood is nice appearance & comfortable. No worry associated with double triggers . Weekend shooters get con on Two triggers. The A5’s looks are modeled after John Browning’s popular humpbacked Auto-5, though the action is more contemporary. 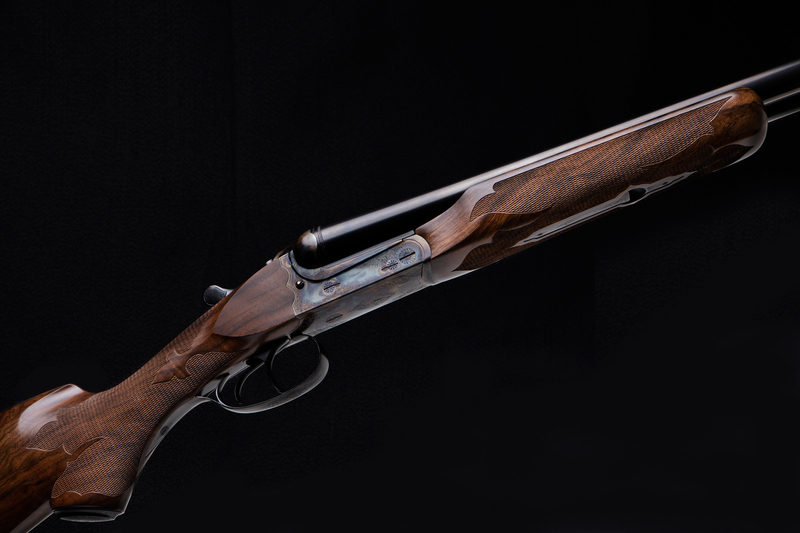 It is the only 16-gauge autoloader in its class. Read more about this gun review.